BIN has one in-person board meeting per year, at the time of the InterSangha meeting. When we sat down together in August, we decided to go through a group process of understanding our "Core Gift" – what, in an elemental form, do we offer to the Insight tradition? Through an interactive and experiential process, we came to this overall view: The Insight groups in the West have developed to a point where each one is itself a gift to the whole. BIN's gift can be thought of as an offering from the whole back to the individual groups. To unpack this statement, it is best to focus on the verbs. BIN serves. How? By gathering, facilitating, and carrying meaning. These verbs demonstrate that those we serve are already gifts unto themselves, while BIN plays a connecting, unifying, and enhancing role. By gathering resources, we create pathways to share and spread each group's gifts to the wider community. This allows groups to continue focusing on their local efforts while still benefiting from what others are creating. If some kind of collaboration or other action is helpful, BIN can help facilitate the process. We imagine that people across the Insight community may wish to combine efforts in many ways: To teach programs, to help an underserved population, to engage in compassionate action. "As we enlarge our spiritual capacity to be with all of our experience, we also gain the capacity to be with the all of the experience of greater and greater numbers of beings. This is the invitation of the Dharma into the Unconditional, into the expansiveness that is the community and sangha." Click here to subscribe. Archived issues are available on our website. Gary Born is not shown. "Carry the shared meaning" may need some additional unpacking. The idea is that the Insight community – like all communities – derives its coherence and strength from a sense of shared meaning. The mandala of variation among groups, teachers, and individual practitioners is strengthened by the presence of this shared meaning. Rather than seeing BIN as creating this meaning, we imagine that BIN serves to firm it up, hold it, and be the container within which it can change over time. Hence, the term "carry" made sense as conveying both the idea of stability and motion. BIN is a vehicle by which the individual parts can assemble as a whole. The Gift Statement is related to what a typical nonprofit might call its mission statement. It contains specific action items that can be fulfilled in a variety of ways and at various depths. For example, what does it mean at this time to "gather resources"? We have offered a newsletter with profiles of groups and articles about the community; we have published a printed guide about multiculturalism; and we are moving toward having a website full of information useful for leading a sangha. In the future, more and/or different offerings will be appropriate. It will be a fruitful exploration for BIN how best to perform all of the verbs in our Gift Statement, and how they need to shift over time. Beyond a practical mission statement, BIN also has a larger vision that informs and fuels the giving of its gifts. 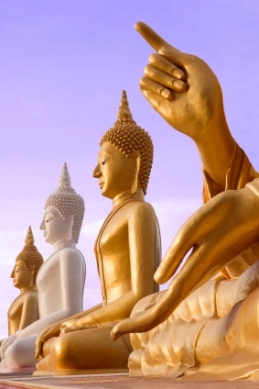 We aim to support and strengthen the development of Buddhism in the West, particularly that emerging from Theravada traditions in Southeast Asia. This includes both the "internal" (sanghas and communities) and "external" (connection with other Buddhist strands and other religious/spiritual traditions) dimensions. We envision a robust community of Western lay practitioners, scholars, chaplains, teachers, practice centers, urban sanghas, and perhaps whole residential communities. Of course, it is useful to be aware that historically, it has taken Buddhism a few centuries to reach this point each time it migrates to a new geographic region. Turning to this issue of the newsletter, we pick up a theme that emerged strongly at InterSangha: Programs for experienced students. These are of great interest at this time in the Insight community, and we are excited to begin offering examples that may be picked up and used by others. 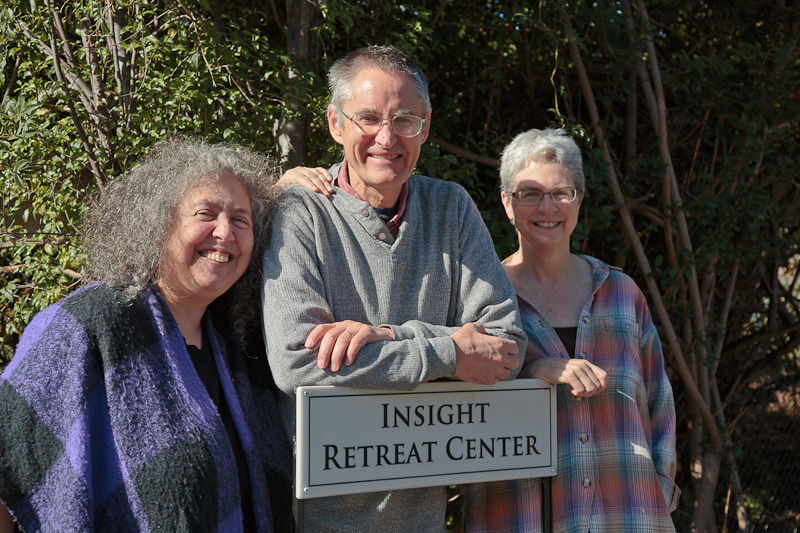 There is also an article about the new Insight Retreat Center, which is working to create a new model for retreats. We are also including two ways to share information throughout the Insight Community. The Community News section includes news about people and programs, particularly the ways in which people are taking their wisdom and compassion into the world (in a secular or Buddhist context). This time we share the word of a prison program that allowed prisoners to offer their unique gifts back to their communities. There is also a platform called Dharma Program Announcements for sanghas to share upcoming Dharma events and programs across the Insight community, especially those that would be accessible to people from the whole community. We encourage submissions for both of these sections in future issues. Finally, in keeping with the season, I would like to offer gratitude for the generous giving from all people involved with BIN. Board members are volunteers, and we are further supported by others who offer their time and talents. Our financial resources also come from donations, and enable us to continue developing this community and network; contributions are welcome. The issue of prorgams for experienced students was a major theme at the InterSangha meeting. The Insight community now includes many people who have practiced for a decade or more, have been on extended retreats, or have completed training programs in Dharma leadership or similar areas. These folks seek to develop their practice through opportunities to both deepen and broaden their understanding of the Dharma. Many are also qualified to teach or facilitate such programs, which brings mutual benefit. These programs could include peer groups, sutta study, or extended themed programs that delve deeply into a particular topic or type of practice. Based on this need and interest, such programs are indeed appearing. In this article, we focus on programs for experienced students at particular sanghas -- programs developed at a grassroots level that are now ready to be shared with the whole community. We hope that other sanghas may be inspired to create similar programs that are tailored for their own sanghas. Examples are offered from Insight Meditation Community of Washington, Insight Meditation Center, Against the Stream, and Insight Santa Cruz. In addition, there is a profile of Phillip Moffitt's website, Dharmawisdom.org. This virtual resource was designed for those pursuing individual practice or small-group study, and includes material especially for more experienced practitioners. It would be useful for mature students who are not located near a sangha, as well as for those who are. We would like to continue sharing examples of such programs. If you'd like to offer a description of a program at your sangha for more mature students, please contact BuddhistInsightNetwork@gmail.com. The Insight Meditation Community of Washington (near Washington, D.C.) frames its teachings around the theme of The Path of Practice. One component is the Deepening Practice Program, intended for people with some experience in practice already. IMCW’s senior teachers have developed this program to help bring the central teachings of the Buddha more fully into family, relationships, work, and all areas of life, in order to promote greater kindness, awareness, and freedom. Satsang (exploring truth with spiritual friends) with Tara Brach. Buddhist Teachings: Special Studies. These are themed multi-week programs around a subject area, such as the Hindrances and Awakening Factors; the Brahma-Viharas; Mindfulness in Daily Life; or Buddhism and Science. Each class may include guided meditations, discussion, and teachings. A Year of Living Mindfully. This 12-month inquiry (now in its 5th year at IMCW) includes daily practice, study, retreats, service, and small-group meetings in community to deepen and inspire meditation practice. Deepening Practice Discussion Group. Participants discuss their practice, receive ongoing guidance, and build connections with fellow dedicated practitioners. The focus is on deepening and understanding our meditative experiences, as well as integrating mindfulness and insights into everyday activities. Sutta Study. These groups meet monthly to explore the original discourses of the Buddha. The Buddhist Canon contains a wealth of material on many different aspects of the spiritual path, from the practical to the profound, and can provide context, guidance and inspiration. Study group discussion is relaxed and informal, with an emphasis on finding the relevance of the ancient teachings for our own lives and spiritual practice. Participants are expected to have an ongoing meditation practice to serve as a foundation for study. Most of these groups have up to two dozen participants, with Tara's class having 30-50 people. Mature students are also encouraged to participate in regional & national training programs, such as those offered in the D.C. area on mindfulness teacher training, and those offered at Spirit Rock. At a monastery, not all the learning comes from the abbot's teaching. Much of it comes from conversations and interactions between practitioners as they explore the Dharma together as peers. Inspired by this model, Gil Fronsdal teaches a themed monthly program at the Insight Meditation Center called Dharma Practice Days. Participants engage in a daylong program each month that includes guided meditation, teachings, experiential exercises, and discussions. Between the daylongs, optional reflections and exercises are offered through a written handout. Suitable for any level of practice, Dharma Practice Days go as deep as the student is able. The richness of the teachings makes them especially valuable for more experienced practitioners seeking to deepen their understanding of the Dharma. Previous annual Dharma Practice Day programs have focused on such themes as the Brahma-Viharas, the Factors of Awakening, the Hindrances, and the Paramis. 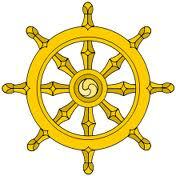 This year's theme is the Eightfold Path. The aim of all the programs is to integrate our outer life and our inner meditation practice. People are encouraged to attend all the monthly sessions, but anyone is welcome to attend any part of the series. This year, IMC has included a new dimension to the program. At the beginning, participants were given the option to have a mentor during the program – a senior IMC student who would meet with them each month to discuss their experience practicing with the Eightfold Path components. The mentor meetings are focused on Dharma practice rather than taking a counseling or psychotherapeutic approach. Students and mentors commit to meeting for all eight months. Nearly 30 people are being mentored in this way. It is creating bonds throughout the IMC community, offering valuable teaching experience to the mentors, and helping students learn to address their life issues through the Dharma. Recordings from the current Dharma Practice Days are available on AudioDharma: http://www.audiodharma.org/series/1/talk/3667/. What are Dharma maps? These are descriptions of the meditation path to enlightenment—strategies really, step-by-step guides for organizing your insight practice toward the (non) goal of enlightenment. There many such maps;the trick is to find one that works for you because there is no universal approach. Iuse several Dharma maps in class which resonate with my own practice: The Seven Factors of Enlightenment, The Sixteen Stages of Insight, The Four Stages of Enlightenment, and the Ten Fetters; and several commentaries on the Sixteen Stages: The Progress of Insight by Mahasi Sayadaw, Mastering the Core Practices of the Buddha by Daniel Ingram, and The Pros and Cons of Dharma Maps by Shinzen Young. The Integrating Dhamma Course at Insight Santa Cruz offers participants the opportunity to explore the Dhamma deeply over an eight-month period. 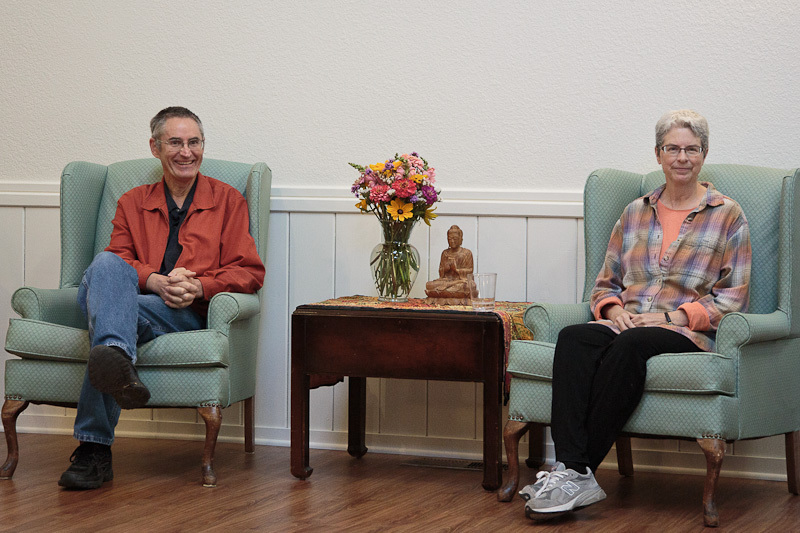 Taught by Carolyn Dille and Dan Landry, the IDC is open to all and includes sutta study, twice-monthly group meetings, and additional kalyana mitta meetings. The IDC is intended to integrate Buddhist teachings into daily life in a practical way; the focus on integrating dhamma is experiential. The broad framework for this first version of the course is the Four Ennobling Truths. We have found that reading suttas, and especially reading them aloud, helps this integration. This is done at every meeting, and people are also encouraged to do so at home, in addition to daily meditation. Not only does this slow the cognitive mind, but it also opens creative possibilities of questioning, of touching the teachings a little more closely than silent reading. It helps us to experience citta, heart-mind, which is grounded in our body. We also encourage reading and provide different translations of the suttas. The group meets twice a month at ISC, and in the intervening weeks, the participants meet with kalyana mitta. Half-way through the course, people will meet with different kalyana mitta. Dan and I also offer one-to-one meetings for people who request mentoring. At ISC meetings, in addition to reading suttas, there are teachings, discussions, meditation, and occasionally exercises. The mission of Dharmawisdom.org is to help individuals conduct their personal exploration of the dharma and to guide them in living the dharma in daily life. Created by Phillip Moffitt, co-guiding teacher at Spirit Rock Meditation Center and author of Dancing with Life and Emotional Chaos to Clarity, the site features articles, audio and video dharma talks, guided meditations, study guides, and blogs on a wide variety of topics—from mindfulness meditation practices to Buddhist psychological insights for dealing with everyday challenges. The content is searchable by keyword and can be browsed by topic categories, including: Buddhist Psychology, Change & Uncertainty, Difficult Emotions, Love & Relationships, Skillful Living, and Trauma & Psychological Wounds. Each study guide consists of articles, audio dharma talks, meditations, and reflection questions to deepen understanding of the material. The website is updated weekly with audio and blog content. There are four blogs, each dedicated to the intersection of the dharma with other inner-life disciplines: Skillful Living, Yoga & Buddhism, Psychology & Buddhism, and Christianity & Buddhism. In addition to all of this valuable content, dharmawisdom.org includes Phillip Moffitt’s teaching schedule and a way to subscribe to several newsletters, including the Dharma Wisdom monthly e-mail teaching and A Year of Dancing with Life (a weekly e-mail teaching and reflection based on Phillip’s book Dancing with Life). 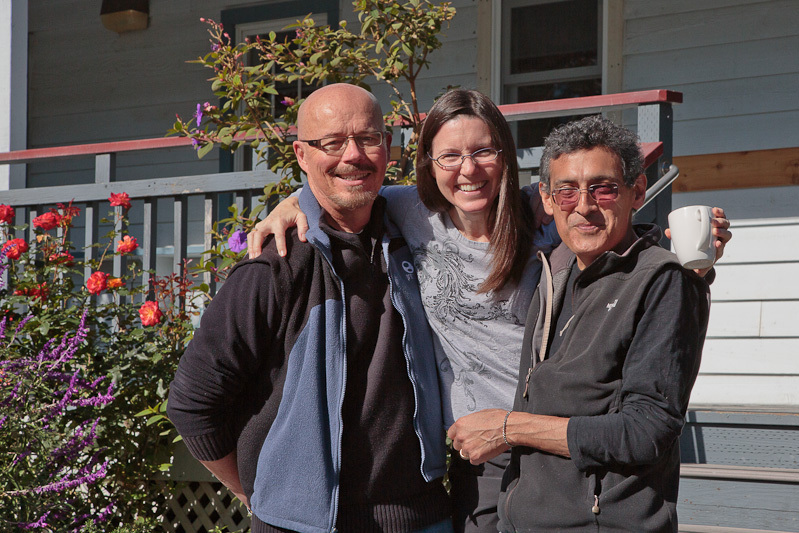 A new retreat center has been established in Scotts Valley, CA, just north of Santa Cruz. Its simple name – the Insight Retreat Center (IRC) – matches its simple vision: to provide rich practice opportunities for people to find the end of suffering. But the way it does so is unique and includes some new dimensions relevant for the evolving Insight community. 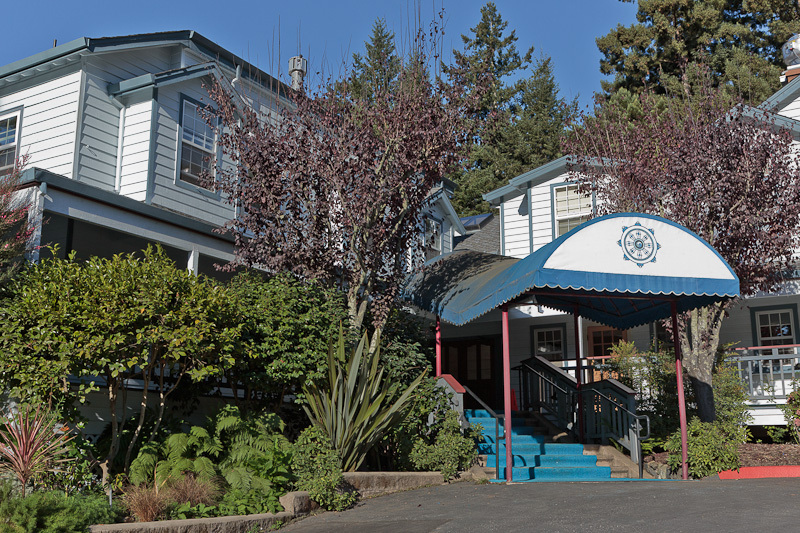 IRC grew out the Insight Meditation Center (IMC) in Redwood City, CA, a nonresidential urban Insight center that has served people for many years under the guidance of Gil Fronsdal. IMC has offered residential retreats for more than a decade using rented facilities in the area. These retreats are offered on a dana basis, meaning that there is no charge for room or board (or the teachings, of course). The retreat is a true offering in that it is already paid for when retreatants arrive; any donation they give supports those who will practice in the future. The Insight Retreat Center gives IMC the opportunity to deepen and extend this model. IRC's retreats are still offered on a dana basis, but now include a much stronger dimension of community. 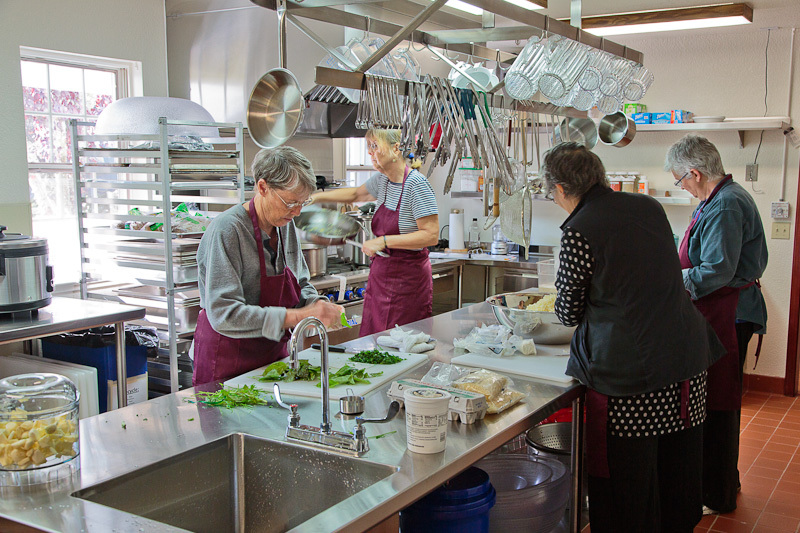 The retreats are managed, cared for, and cooked for by people who are themselves retreatants. There are five "service leaders" on each retreat (lunch cook, assistant cook, kitchen mentor, and two retreat managers) who play a stronger role in holding the container and providing for the yogis. These leaders work several hours per day, but are still practicing (mainly) in silence and are considered regular yogis. They meet with the teachers in the evening to coordinate about their service roles. It is a unique opportunity to practice on retreat in a way that is more integrated with daily life activities. IRC could be thought of as a combination of retreat center, monastery, and village temple. It will be cared for by a committed community of volunteers – perhaps "friends of IRC" – who support the retreats, the background infrastructure, and the facility itself. In addition to standard Insight retreats, IRC will offer study retreats and opportunities for teacher training. As for practical details, IRC has 41 single rooms and a separate cottage with teachers' lodging, as well as a full kitchen, dining hall, meditation hall, walking hall, and ample decks for walking meditation. Set on 3.5 acres in the country, it offers a peaceful setting that is not entirely removed from daily life activities. Retreatants do agree not to use wireless or Internet-enabled devices. IRC has now held a short inaugural retreat and a 1-week retreat open to the whole community. A few pictures from the inaugural one are shown. 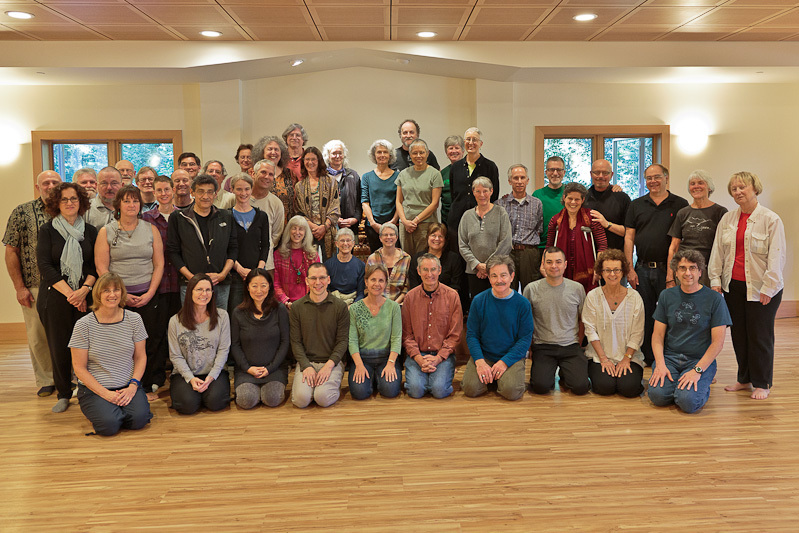 It is inspiring to see this new form of practice taking shape: A center where the practitioners themselves play a key role in supporting and holding the retreat. 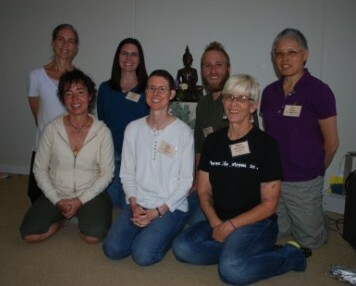 IRC's retreat schedule may be accessed at http://www.insightretreatcenter.org/retreats/. GRIP Graduation. Jacques Verduin, founder of the nonprofit Insight-Out, has recently guided 36 San Quentin inmates through a program called GRIP, Guiding Rage into Power. The GRIP Program teaches men how to stop their violence, become emotionally intelligent, cultivate mindfulness, and come to understand victim impact. The Program has evolved from 17 years of actively working with prisoners and prepares the men to give back to the communities they once took from. On November 16, they held a graduation ceremony designed as a "unique gift to our communities that says that these men are safe men. They are ready to return to their communities as a positive force to give back, protect their loved ones and to diffuse potential violence." View a 5 minute video about the graduation. Please submit Community News items to BuddhistInsightNetwork@gmail.com, or through the Contact page of our website (there is a Community News category in the pulldown menu). Gregory Kramer and Gina Sharpe: Awakening Together: Conflict and Freedom (May 10-16, 2013). 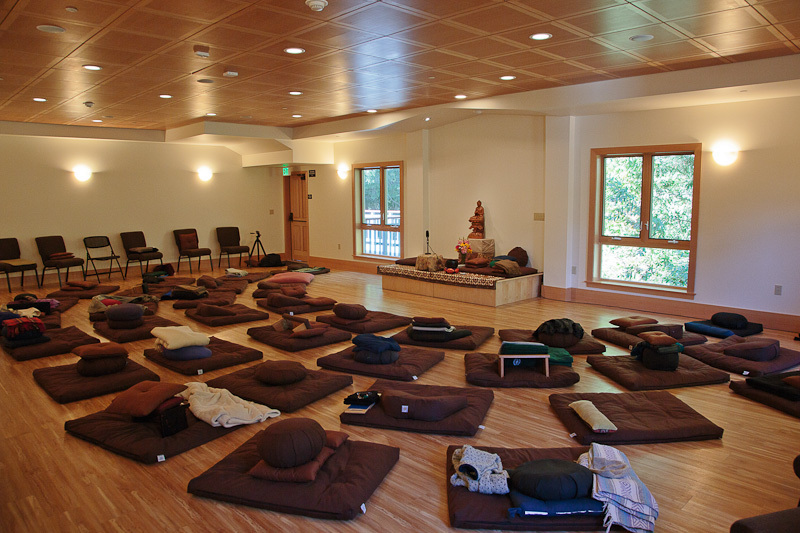 This retreat, led by Gregory Kramer and Gina Sharpe, will bring together meditation community leaders, teachers and seasoned practitioners from the traditional and relational Vipassana communities. The retreat is designed to introduce a relational Vipassana practice and help us understand, through experience, how this can support individuals and communities to become more aware and fully present with one another to work through conflict, stress and difficult situations. It is a powerful opportunity to link wisdom and compassion practices. Our exploration of Insight Dialogue will ripen basic meditation practice, illuminate the Buddha’s core teachings, and build the bridge between personal awareness and harmonious relations with others. For more information and registration details, please visit https://metta.org/program/awakening-together-conflict-and-freedom/. The Sati institute for Theravada Studies offers courses toward a Master's Degree with the Institute of Buddhist Studies (IBS). The deadline to apply for admission to IBS in Fall 2013 is February 15, 2013. More information at http://www.shin-ibs.edu/.